What do I know, right? I’m just a teenager from a little part of big city India. In fact, I’m narrowly missing out on voting this time, because of my age. Seriously, what do I know? Well, I know that the elections are on. And as a politics enthusiast, I also realise this could be the greatest electoral polls of modern democracy. Everyone on the planet are tuned in on to know who’s the Prime Ministers of India. For the next few weeks, everyone in the world is an Indian. Indians are tired of the United Progressive Alliance, the Aam Aadmi Party is digging it’s own grave, the Left is looking like a joke, the supposed Third Front seems to be the communion of jokes, while the Bharatiya Janata Party seems to be flying high. There are debates on the televisions all the time about what this elections is going to be – communalism, economics, or what? India is about more than just economic growth and communalism. India is about things one wouldn’t understand unless you’re here, watching it all unfold, being a part of it. India is an experience. An experience that is both hard to understand and govern. And right now, India is a revolution. We are the world’s biggest democracy and we are into what, as I mentioned earlier, what could be the greatest electoral polls of modern democracy, thanks to the emergence of new politics. 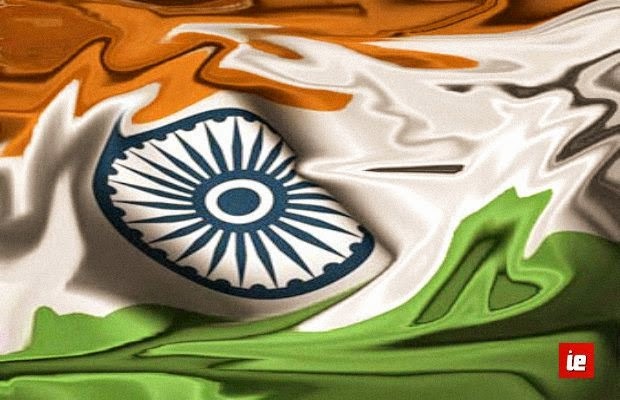 India is an emerging superpower and the results could change it all if it goes the wrong way. We might as well be ready to becoming a forever-developing country, or God forbid, a third world country. But that’s not what we want. What we want, is to trump those who dare to put us down. We want to emerge stronger. We want to be known for more than our scientific minds and our Bollywood. We want to be about more than just the Taj Mahal. We want to be an example. Too many people think we are a poor country, but we’re not at all a poor country. Then why are there still people begging on the streets? Then why are farmers committing suicides? Then why are the rich getting richer, and the poor getting poorer? Like I said, India is a revolution. And we don’t need just another person to become our Prime Minister, this time. Why because this time we are not going to settle for surviving, we want to become great. And for that, our Prime Minister should not be just another average Tom. When you go and start voting, you need to be sure what your options are, who are your candidates, what do they promise, how have they kept their past promises. It is no use if there is going to be just a large vote turn out, if we are not going to vote with the right knowledge. Just remember, the 14th Prime Minister of India needs to be an ideology, not just your “dharm-bhai” or “jaat-bhai”. We are the world’s largest democracy, and this time, we need to step up and thrive to become the world’s greatest democracy.